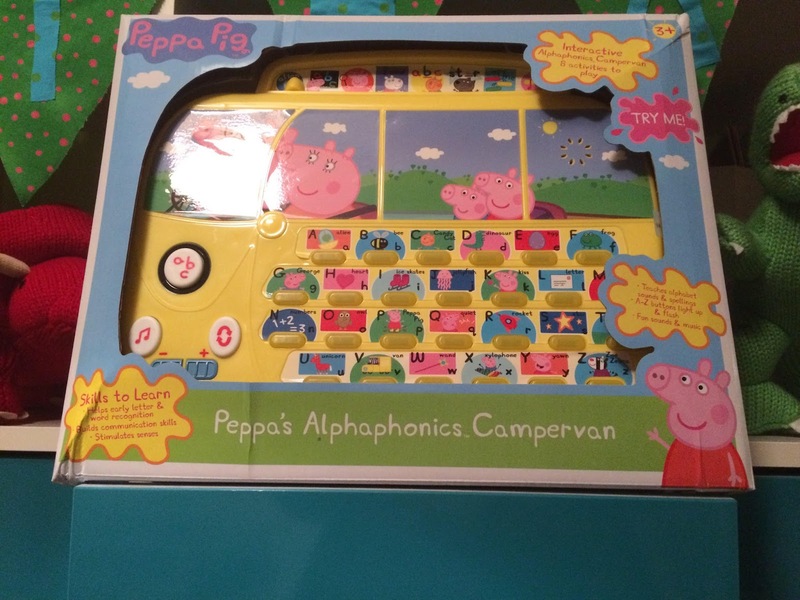 I'm told that the Alphaphonics Campervan is the ultimate early learning toy for Peppa Pig fans and without letting Ethan take a peek, I have to say it does look like something he will get a lot of play time out of. Children can learn about the alphabet, improve their spellings, get to grips with phonics and develop word recognition. 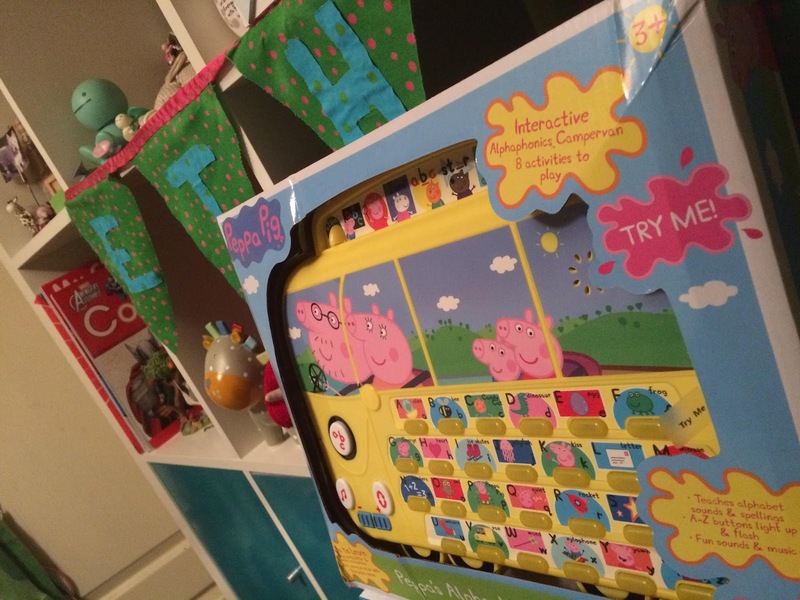 The toy looks just like Peppa’s classic campervan so toddlers like my Ethan will be keen to get their hand on it and the Peppa Theme song which it plays will make them smile (parents? perhaps not after the 100th play...!). This toy also has eight fun spelling games to play so children can laugh and learn at the same time. 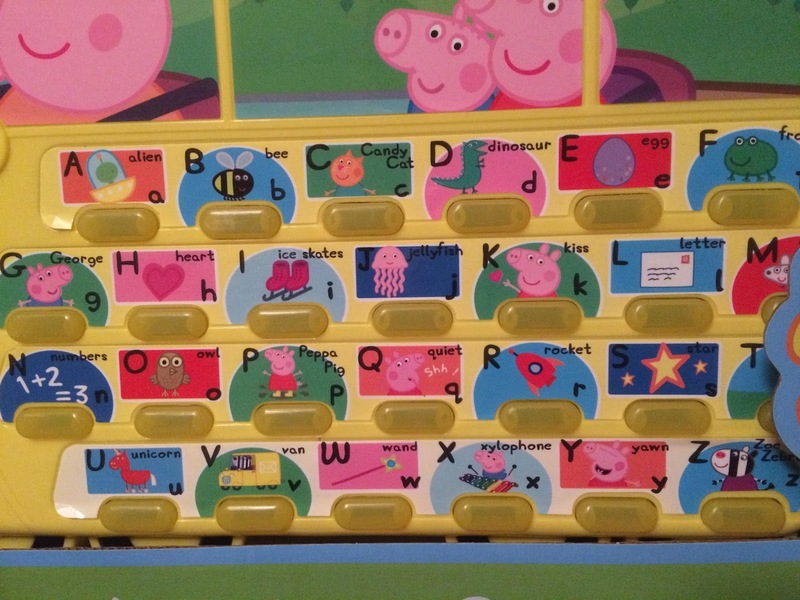 I really like this Peppa Pig electronic learning toy and hope Ethan will too when he opens it on Christmas morning. * Thank you to Trends UK for this great toy, sent for the purposes of review - all opinions my own, as always.